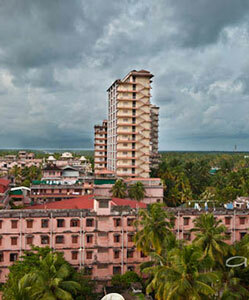 Built up on the very property where Amma was born, Amritapuri is now the headquarters of Amma’s worldwide mission and the spiritual home for Amma’s monastic disciples and hundreds of householder devotees. All the residents have dedicated their lives for realising God and serving the world. 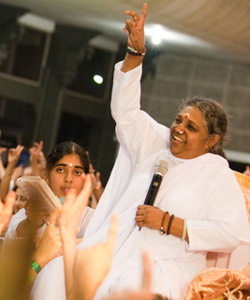 Everyday, Amma’s children from across India and abroad flock here to have Amma’s darshan. She sees each and every one, listens to their worries, consoles, encourages, provides new direction to their lives. 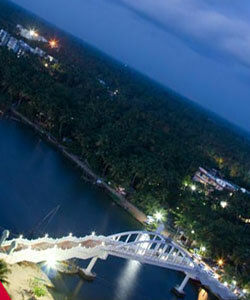 Amritapuri is the living example of the ancient Indian ideal “the whole world is one family” (vasudhaiva kutumbakam). Here you will find people from all parts of the world — speaking different languages and having different customs and religions — all living under one roof. 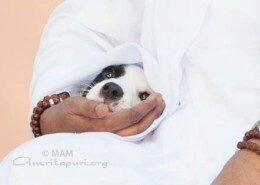 In their quest for the meaning of life, each has forgotten their differences and become a child of Amma. When people come to Amritapuri Ashram for the first time, they are almost always surprised—a remote fishing village on a small island cradled between the backwaters and the Arabian Sea has become the centre of a silent spiritual revolution.. Visitors, please click here to register online here. You may also order a taxi to pick you up. 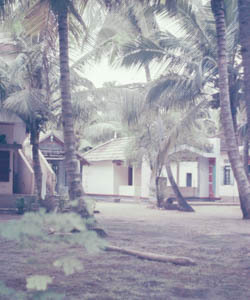 The Ashram started in a cowshed, later became an International center.Read more..
From the stillness of the morning hours to the silence of the night. Read more. 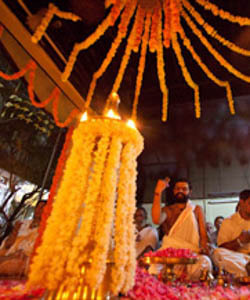 Ashram photos from the year 2008. When Amma will return to our continent?